Thanksgiving was last week and I’d be lying if I said I didn’t completely obsess over the table napkins to include in my tablescape. What can I say? 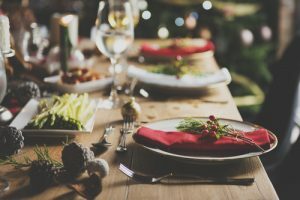 A good tablescape is one of my favorite holiday decor ideas. I wanted something festive, and completely unique! I decided to fold my autumn-orange colored napkins into a turkey shape using this tutorial. They took forever to fold but all of my guests could not stop raving about them! Since the Thanksgiving napkins were such a hit I knew immediately that I wanted to have something even better come Christmas. I had to start researching early! Here were some of the creative table napkins I found while doing my research! There’s no need for fancy folding here! 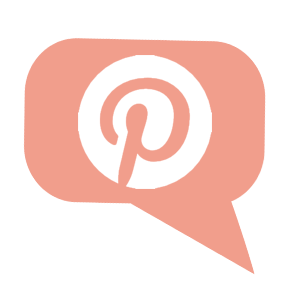 All this creative table napkin idea requires is a gorgeously tied piece of wire ribbon. If you like this idea, I find it best to use long pieces of ribbon to create the bow. Personally, I use anywhere from 6-9 inches of ribbon for this kind of project. Place your ribbon-wrapped silverware bundles in your bowls to entice your guests to eat! 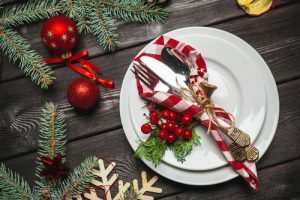 If the ribbon was too flashy for your taste, tie your silverware off with a pinecone branch and thyme. Pick greenery with berries on it, if it’s available in your area for more of a holiday touch. 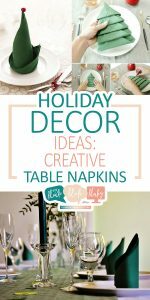 When it comes to creative table napkins, you’ll want to utilize everything you have for the holidays. 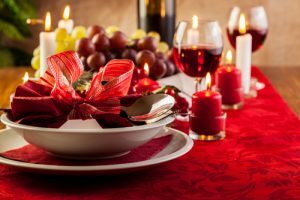 Give your Christmas dinner guests a favor to go home with! 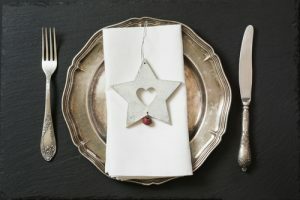 These unique table napkins are simply a white linen with an ornament tucked into the folds. It’s one of the easiest-to-assemble holiday decor ideas around, and your guests will love placing an ornament upon their own tree. I’m sure they’ll think of you everytime they see the ornament! Sometimes, you don’t need any accessories! You just need a napkin! 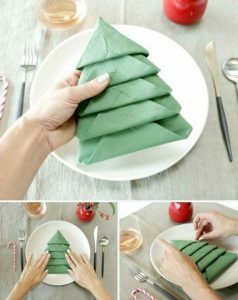 Go accessory-less this holiday season and fold your napkins into the shape of a Christmas tree. These aren’t too difficult to create (just make sure your corners are crisp!) and they’re sure to wow any guest. 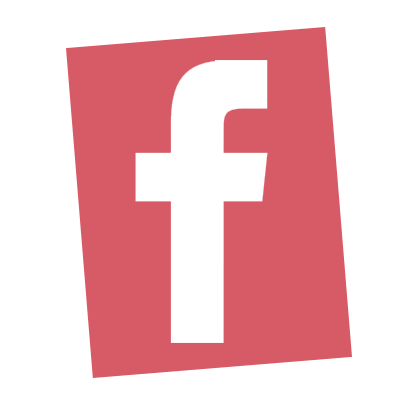 Use this tutorial if you wanted to create one for yourself! Now, this folded napkin creates a serious statement! You can create a folded elf hat out of your napkin using this super easy tutorial from Good Housekeeping. 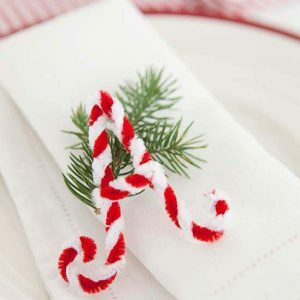 Keep things simple this season with folded white napkins adorned with letter-shaped pipe cleaners. Those who tackle this project will want to weave a red and white pipe cleaner together for the candy striping. Once woven together, shape it into the letter of your table-occupant. 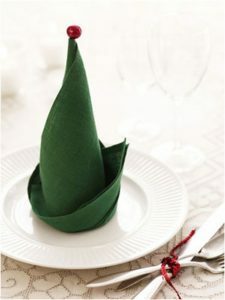 Use pine needles as a backdrop for this creative table napkin!